Alexis Barkis is a member of the Labor & Employment practice who provides advice and counsel to employers and human resources professionals in all aspects of labor and employment law and litigation. She represents employers of all sizes across a wide range of industries with issues involving the Family and Medical Leave Act, the Americans with Disabilities Act, and other federal, state and local fair employment and anti-discrimination issues. Alexis also prepares and negotiates employment contracts and agreements, creates or reviews internal policies and procedures, and provides training on topics of interest to management and employees on a host of labor and employment law topics In addition, she ably guides clients in matters of employment law compliance and employment-related immigration issues. 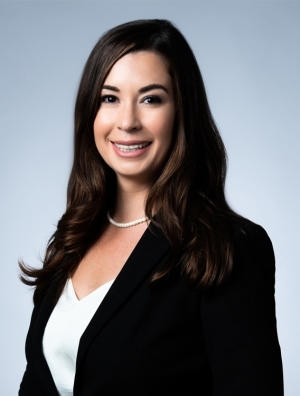 Prior to joining Quarles & Brady LLP, Alexis clerked for The Honorable John E. Steele in the Fort Myers division of the Middle District of Florida. While there, Alexis had an active role in managing a significant portion of Judge Steele's civil docket. In addition to performing in depth research on complex legal issues and drafting dispositive opinions, Alexis had the opportunity to work on appellate matters when Judge Steele sat by designation on the United States Court of Appeals for the Eleventh Circuit on two separate occasions. Before Alexis's clerkship, she worked in the areas of insurance defense and personal injury while in private practice. While in law school, Alexis was a judicial intern for with The Honorable Sheri Polster Chappell with the Fort Myers division of the Middle District of Florida.